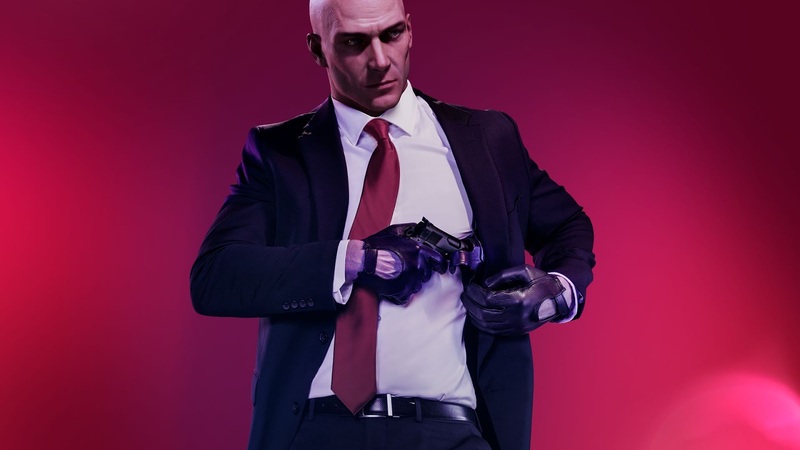 Agent 47 is back! After the sleeper success of its predecessor, the Hitman franchise returns with an explosive new title that follows the aforementioned contract killer as he continues his hunt for the Shadow Client. Set across six levels in a diverse range of locations, players are tasked with using a variety of weapons and disguises to assassinate numerous targets, with an emphasis on experimentation and improvisation. From the opening mission - a small prologue set in a New Zealand beachside home - the series' trademark of emergent gameplay presents itself. 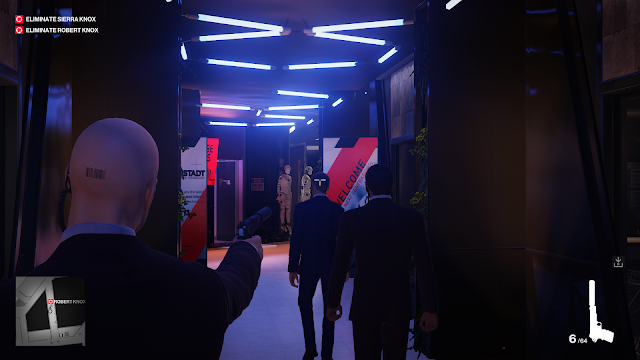 Hitman's reputation for allowing player freedom is encouraged here, as the target can be killed in a variety of ways. Poison her tea or push her over the balcony, how you choose to carry out your orders is up to you. The game doesn't back down its promise of allowing player agency, and in fact I think it might be the strongest iteration the series has ever had. Even with the opening level, which is undoubtedly the smallest and most "linear" mission in the game, there is still a staggering amount of choices available. It isn't just in the way you choose to assassinate your target, as almost every action you make has a ripple effect that will change how that session may play out. Much like the previous games, there's a distinct reaction between different systems and mechanics that you can exploit. As an example, you could knock a guy out and it may trigger a specific event later on. Tamper with a certain object and it may lead to a new opportunity that would otherwise be unavailable. Ultimately, this allows each playthrough to be unique, as the branching storytelling and impactful choices mean there will always be something unique to experience. This is nothing different as far as immersive simulations go, but the Hitman series has always felt like it took the formula just a little bit further. 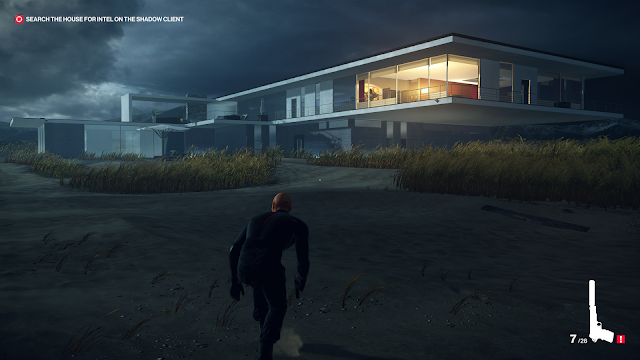 With the emphasis on discovery, Hitman's worldbuilding is mostly achieved through its environment. A lot of opportunities to kill the target are revealed through conversations between people or by finding a certain document in the world, but more perceptive players will be looking at environmental cues; misplaced objects and unique characters, to plan their next move. This also counts for the way the game tells the story, because the comic book-inspired cutscenes are few and far between. You'll learn more about the characters from how they interact with the world around them. By watching Sierra Knox - a target present in the Miami mission - you discover she is an adrenaline junkie and an excellent racing driver, meaning a lot of the opportunities surrounding her are related to that type of lifestyle. Most importantly, Hitman 2 strives to fulfil exactly what a sequel sets out to do. Everything sits on a much bigger scale. The maps are larger. The kills feel grander. There's a lot more to do within a level. Enemy behaviour is tougher, which raises the stakes and enriches that extraordinary sense of accomplishment after pulling off a successful assassination. Infiltrating the Palais de Walewska in Season 1 was a cakewalk compared to accessing the some of the secure strongholds seen in Hitman 2. 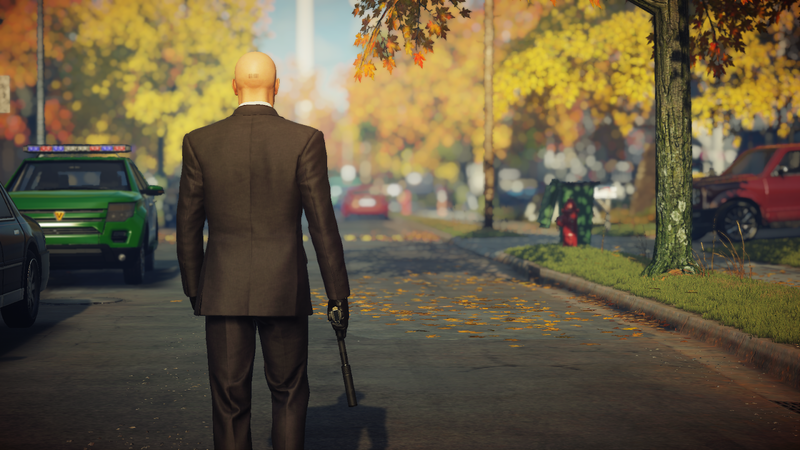 It is clear that IO Interactive has identified what players felt were too easy as well as what was difficult, and they built from that in order to find the right balance. "We looked at the underlying AI systems rather drastically," executive producer Markus Friedl said about the team's focus for the new artificial intelligence in an interview with VentureBeat. "One example is mirrors. Now NPCs can actually spot you through mirrors, which adds another interesting layer. Mirrors are a big gameplay element. We also looked at the vision system, all the sensory systems of the AI. 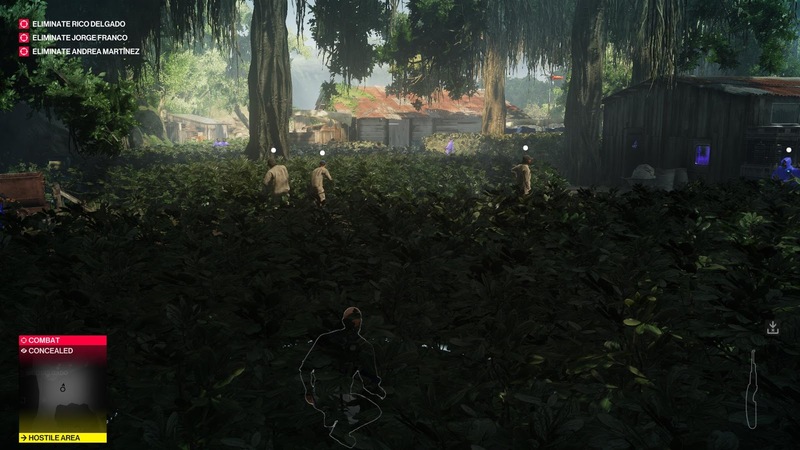 That’s significantly improved in Hitman 2." If you're like me and often aim to get a high score, the Silent Assassin rating system makes a return and operates in a nearly identical manner. Avoiding being spotted, hiding bodies and destroying camera feeds will result in a five-star Silent Assassin grade, whilst killing non-targets and leaving too many loose ends will dampen your final ranking. I'm a big fan of going for the Suit Only challenges, in which you must get a perfect score without changing out of 47's suit. It significantly helps you to learn the map, item placements and the guard routes. There are also several other vast improvements brought to the table. Other new features include the ability to hide in large bushes and blend in large crowds, adding an extra degree of empowerment as you use these resources to sneak past unknowing enemies. My favourite addition has to be the return of the briefcase, which allows you to hide illegal items such as guns and melee weapons and carry them through crowded areas. Upon first glance it might seem that this is overpowered. I was afraid it would trivialise the challenge of trying to sneak a sniper rifle across a busy street, however there are also some drawbacks. You can't take it through a frisk zone, meaning the wiser guards will still catch you out, and it also has to be dropped if you need to climb up a wall or pipe. These compromises help balance it a bit, allowing the briefcase to be a fun addition without making the game too easy. As an additional bonus, all the maps from the first season - including bonus missions and Patient Zero - can be played in the sequel. Owners of the original game immediately gain access to these locations or they must otherwise be purchased. By taking the briefcase along to Paris or hiding in the foliage added to Colorado, it was refreshing to approach these maps with new toys. Sadly, the equipment unlocked in the original game do not carry over, meaning you'll have to go back and level up again. Another unfortunate side effect of this is that most rewards in the new levels are identical reskins of the old stuff with a bright pink '2' slapped on the side. This greatly diminishes the excitement of levelling up as everything has an underwhelming "been there, done that" feeling to it, and after spending a large amount of time earning everything, I couldn't find anything I hadn't already used in Season 1. There are two multiplayer modes, a first for the franchise. Sniper Assassin can be played alone or with a friend where you must pick off a group of targets from afar using high-powered sniper rifles. This mode can be fun for the first few times but the patterns of the NPCs are predictable and can't be dramatically affected by your actions, making everything feel static once you learn the routines. It's packaged well together, but doesn't quite seem like Hitman. On the other side of the spectrum, Ghost Mode is a one-on-one competitive match in which you must race to get five unseen kills on specific targets. Players are separated in their own worlds, meaning you can't directly affect each other's runs, but there are 'ghost coins' which can affect the characters in your opponent's world. The idea of the mode is fun and interesting but altogether feels needlessly tacked on. 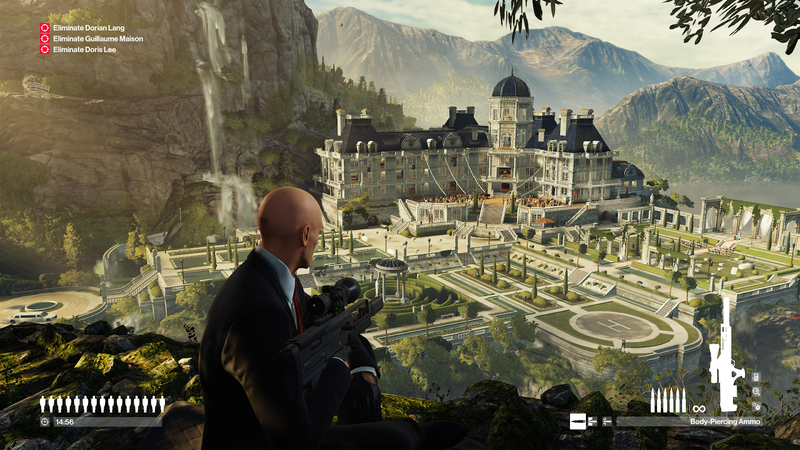 Hitman is a game that is all about making carefully prepared moves to execute your plan, but this instead seems to encourage speed and sloppy play. This could be improved by including the single-player's Silent Assassin rating system, as it would encourage players to be more careful with how they tackle each target. I appreciate the attempt to bring something new to the franchise, and I hope IO Interactive tries to improve it over time. 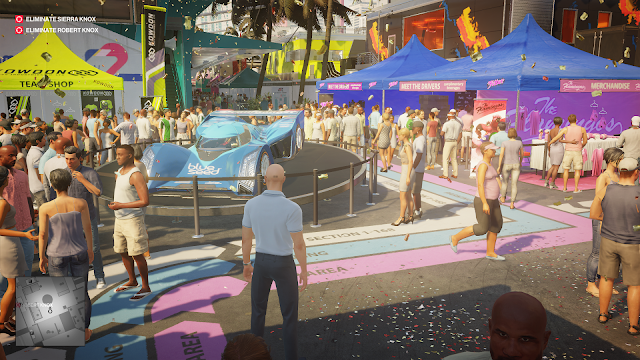 With an emphasis on trial-and-error gameplay, Hitman 2 once again strengthens the series' legacy as a punctuation on player agency. It is unbelievably fun to lose yourself within a level, performing actions differently and witnessing how the complex systems interact with each other. With virtually hundreds of ways to approach a level, the game never feels stale or tiresome. Considering the franchise was originally put on life support when Square Enix dropped the game last year, and then subsequently revived when new publisher Warner Bros. Interactive Entertainment stepped in, it feels like this is truly the best timeline for the game to exist in. It may not be anything substantially different, but taking into account how good its predecessor was, "more of the same" actually works in its favour. IO Interactive has yet again provided an phenomenal experience.